A topic close to my heart, today I am venting some initial thoughts on the Faction Focus that appeared yesterday, Beasts of Chaos. A little background: So I am as you would probably know, an avid Brayherd and previous Beastmen player, basically I love goats... 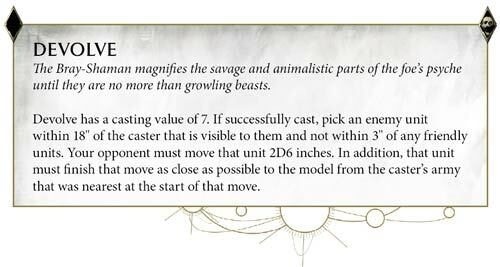 I have played Beastmen throughout 7th, 8th and into AoS too. After some personal matters, I had to sell my first (well third but best and longest) Beastmen army, during 2017 I started on them again and have been building them up since. One of the greatest aspects of Brayherd (which is my main focus) is the narrative you can build with them, part of that narrative was taken to RAW in the form of Mojgorox, the main character and his ability with his Great Bray Shaman's (GBS's) to summon and control monsters from the wilds, some major themed games have resulted from too, but more on that later. 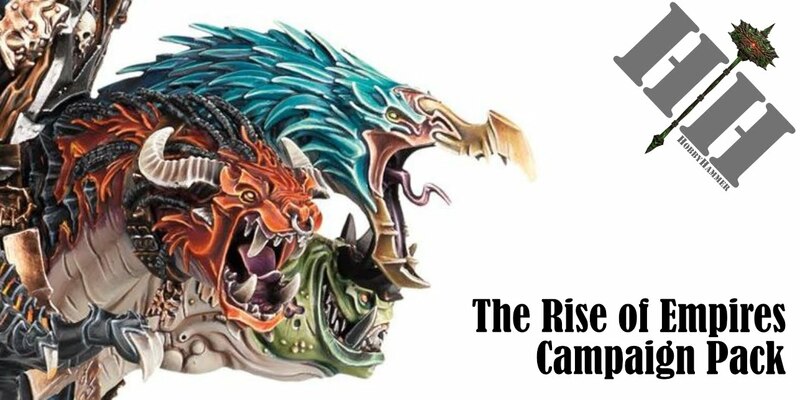 Lets start with the title of the article and compare to previous Faction Focus', Beasts of Chaos, I saw this and got mega excited, the thought of combining the Beasts all into one faction sounds so good, like the days of old having an army (with proper allegiance abilities and all that goes with it) of Bray, Minos and Monsters would have been immense, but it was just a title and the factions remain split. It looks like the points for the Minos and Thunderscorn are being reduced, which is good. I have felt that they are slightly more than they should be. I personally as I mentioned play Brayherd and the way I ran them relied heavily on ambushing and summoning Monsters from the GBS's spell Savage Dominion, My #BLACKOUT (tournament ran by Chris Tomlin down in Cardiff in August) list was meant to be the finale of my narrative I have been running for a year involving Mojgorox (My own custom Beastlord). It used Skarbrand as a summoned Monster, in a Brayherd aligned army. It is no way filthy and Brayherd and all of the Beasts of Chaos factions are in no way powerful, it was just thematic for my current narrative. But, in an instance, suddenly it along with all possibilities of summoning monsters is gone.. back to the 400 point ally limited I go of Monsters in my army. The article makes it out to be an amazing thing, the Savage Dominion spell has been removed and replaced with a spell called Devolve. Now, don't get me wrong, this spell is amazing. 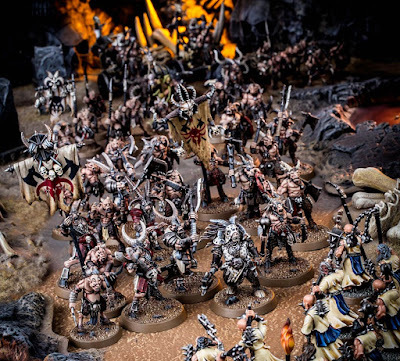 For a pure Brayherd aligned army, not so much, but for another Chaos army, like Khorne or Nurgle, Tzeentch etc to ally a GBS in giving them the ability to pull key characters closer to be shot or spelled off is making non Brayherd players think it is immense, and this is the point. The GBS is first and foremost a Brayherd model and it's rules should be considered for its own faction first. Clearly this hasn't been the case, it has been looked at and firstly the Savage Dominion spell has been looked at closely. For the new summoning mechanics coming to AoS, I agree it would have been way to powerful. I can see the meeting on it now.. "Wow this will be way to powerful for AoS2, Shall we change it up?" 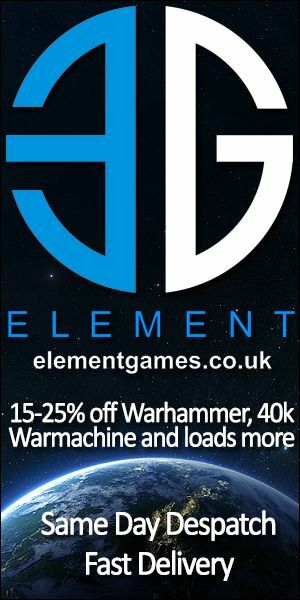 "Nah, that's too much work for a faction that isn't that popular, lets just change it.." "Yer, lets make it better for Chaos in general, I know, how about this, DEVOLVE spell.." OK, I know that is a bit salty and I apologise if it offends anyone, but it is definitely my opinion. 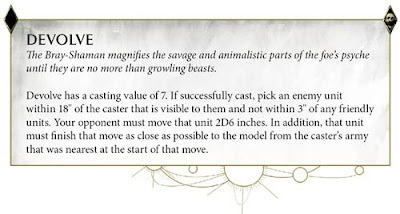 In an Age of Summoning being a massive thing, AoS2 certainly seems like it is becoming more magical and fantastical. Why are they removing abilities to summon? especially an ability that is so good! Controlling minds of Monsters and bringing them in from the wilds to attack! How would I have dealt with it? Well, I would have certainly kept it. I would have first made it a Once per Game ability, maybe make it, like Alarielle, an ability rather than a spell, I would then change it from being any Chaos Monster to a Monster of Chaos (so no more Skarbrand, Archaon, Great Unclean One etc..). After this I would have looked at the ability to ally in the GBS and think, well this would be too powerful in more top tier army like Tzeentch or Nurgle so maybe take the Ability off the warscroll and add it to the Brayherd Battle Trait Allegiance. What has happened is just a little lazy in my opinion. Ok, on to the good points.. 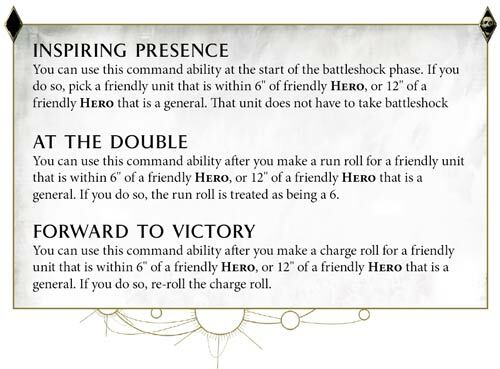 The new generic Command Abilities' are fantastic for Brayherd, especially ambushing on, being able to re-roll charges or being able to auto run an extra 6" will really help us out. 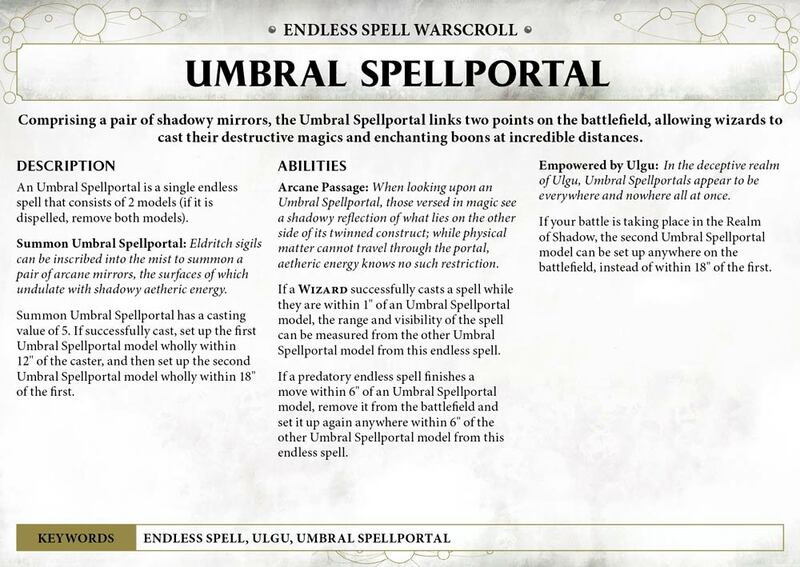 Also, the Endless Spells could be great too, ambushing on GBS's and then sending Predatory spells to eat the opponent will be cool, also allying in a Doombull and unit of Bullgor, or Dragon Ogor Shaggoth and being able to use their Command Abilities will make that more viable too. So what can I potentially do..? So above left is an army list focusing on being able to get as many Endless spells as you can out. saving 400 points to do so. Would be a funny thing to see, I have no idea what or how it would do but hey, it could be great! (It wont be). The second is if the Beasts of Chaos were a faction, but does work as a mixed Chaos list including as much from all the Beasts of Chaos as possible. This is how I see the new GBS spell being used though, this is the more competitive list I run, it is Nurgle aligned but uses Ungor Raiders with Blades cast on them to pick off enemy key heroes or units. Ungor Raiders can pre game move and also run and shoot, re-rolling 1's and 2's to hit. So are very good candidates for putting Blades of Purtrification on. 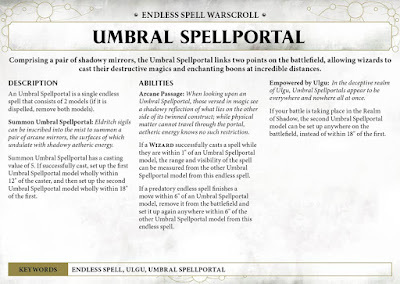 Now we add in a GBS with Devolve, and add in an Umbral Spellportal, Keep casters out of 30" Unbind range, Cast the Spellportal, then Cast Devolve on the key unit bringing them forward, hopefully out of Look out Sir ranges if its a non Monster Hero, Cast Blades on the unit of Ungor Raiders and then run them forward (using the extra 3" range the GBS also gives), shoot the hell out of the key Hero or unit, killing it outright. Rinse and Repeat if you can until the GBS is dead. So there we have it. Not a completely positive review, but one I feel I needed to get off my chest. 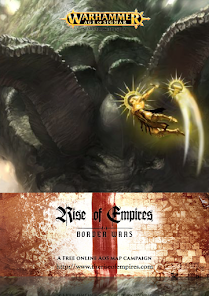 Now for GW to completely prove me wrong, and combine the factions, give them some sort of summoning ability and make me a happy man again.